Sixways Stadium will be hosting a sporting dinner next month with two legends of Premiership Rugby. 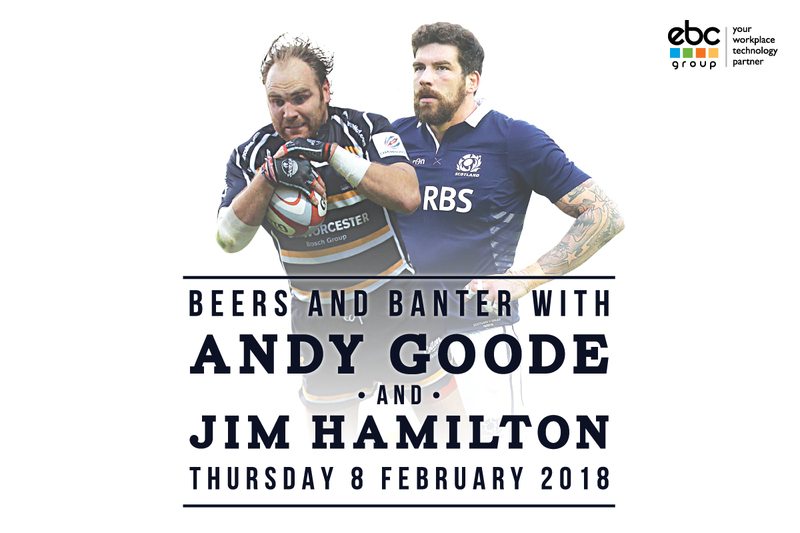 Beers and Banter with Andy and Jim comes to Sixways on Thursday 8 February as former Warriors hero Andy Goode returns to the Club alongside former Scotland international Jim Hamilton. They will be sharing a series of hilarious stories from their illustrious playing days as well as previewing the NatWest 6 Nations match between England and Wales. The event gets underway at 7pm and limited Platinum tables are available for £750 including VAT with standard tables priced at £550 including VAT. Single places are available for £60 including VAT. All packages include a two-course meal. Andy Goode won 17 England caps during a distinguished career and is the second-highest points-scorer in Premiership history, with 2,285. The fly-half, who started his career with Leicester Tigers, was a popular figure during his three years at Sixways before moving to Wasps in 2013. Hamilton won 63 caps for Scotland and appeared in the 2007 and 2011 Rugby World Cups. His club career included spells at Leicester Tigers, Gloucester Rugby and Saracens. The duo now appear on the Rugby Pod podcast. To book your place please click here, email events@warriors.co.uk or call 01905 459 351.